Alright, I’ve finished off player dialogue and released another World Demo on Patreon, which is much like the first demo but some missing stuff has been filled in. (Chest contents, achievements, dialogue, map menu, etc.) Basically you can explore the whole world map, without battles, and spend near 10 hours finding everything. Now I can finally move on to something new, woop! It’s time to do battle backgrounds! 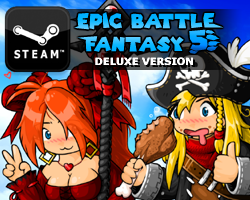 This entry was posted in Epic Battle Fantasy 5 on April 2, 2018 by Matt Roszak. This is a nice looking Library. I see you like Katamari too! Wow! It’s been awhile since I’ve checked up on the EBF series. 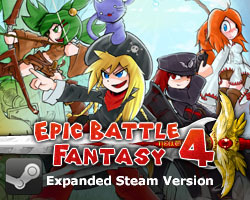 Now EBF5 pretty close to being done with up to 10 hours of content with only map exploration?! I’ve got a lot of stuff to catch up with don’t I? Again, some Patreon stuff that looks awesome, but we’ll never get. This is just a demo of the full game. You can play the game for free or buy it after it’s release. Can’t wait to see what new idiocy our her-uh, protagonists get up to. Do you plan on releasing the first demo publicly now that demo 2 is out for patrons? that’s not it. The demo you see at the top is only for testing assets and stuff. The real world demo, however, is still available only for patrons. Shoot me a message on Patreon and I’ll see what’s up. You might know this bug already, but I’ll still say it anyway: The character’s default equips do not show up in the menus aside from Equips. Once I’ve unequipped them, they disappear. btw, hope youll make the version one of the world demo public.. so the non patreon like me can also experience it… but if not, it ok, we will still be able to play it anyway after some time, and its worth the wait! 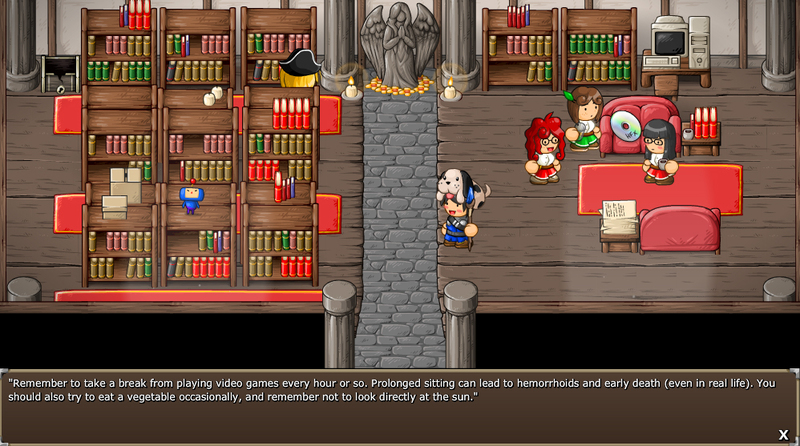 it is getting on kongregate right? Woah woah woah, almost 10 hours just finding things on the world map? Dude, that is sick. How did you calculate that? Did you just have somebody else try to find them all and it took them that long? Did you estimate how long it would take a person to get all of the key items and then scour every tile of every screen? lol, that sounds amazing regardless. I am so HYPED for this game!